Long a leader in high-performance street and motorsports friction materials, Hawk Performance is branching out into related braking system components. Hawk Marketing Manager Lindsey Nikolai shared with us their latest products as well as provided a peek into what’s coming in the months ahead. This past summer, Hawk Performance launched the Talon rotors, its proprietary street performance line of rotors and brake kits. Cross-drilled and slotted Talon rotors feature Hawk’s proprietary “claw” slots borrowed from the race-only DTC rotors to fully maximize stopping power, prolong the effective life of both rotors and pads, and provide aggressive torque during hard braking. The proven cross-drilled design optimizes thermal efficiency and dissipation, strength and improved wet braking, and is carefully programmed to avoid drilling through veins, which weakens the rotor. A proof of performance, a set of out-of-the-box Talon rotors were fitted to driver Jay Andrew’s 2010 Mustang running in the ST-4 class at the NASA Championships at the Circuit of the Americas, and then put on display in Hawk’s SEMA booth. Between practice, qualifying, warm-up, and two races, Jay’s Mustang clocked over 2 hours 45 minutes on the 3.4-mile, 20-turn Formula 1 circuit. According to Jay, “the Talon Rotors held up very well for the entire event with no signs of wear or thermal heat checking,” he said. “In fact, they look like they were only heat cycled a couple of times. The slots added a nice, small amount of additional friction and eliminated any pad taper that can occur with the stock calipers,” he added. Hawk’s Talon rotors are immediately identifiable by the black coating that’s more than skin deep. Where other manufacturers use electroplating to apply the coating, Hawk relies upon a coating process developed by Magni, a global leader in automotive corrosion-resistant processes. The Magni process allows the coating to be applied more evenly inside the veins and the more porous center of the rotor’s core where rust grows fastest, particularly in Northern markets. The popular Hawk HP + pads have been reformulated to maintain performance but decrease noise. 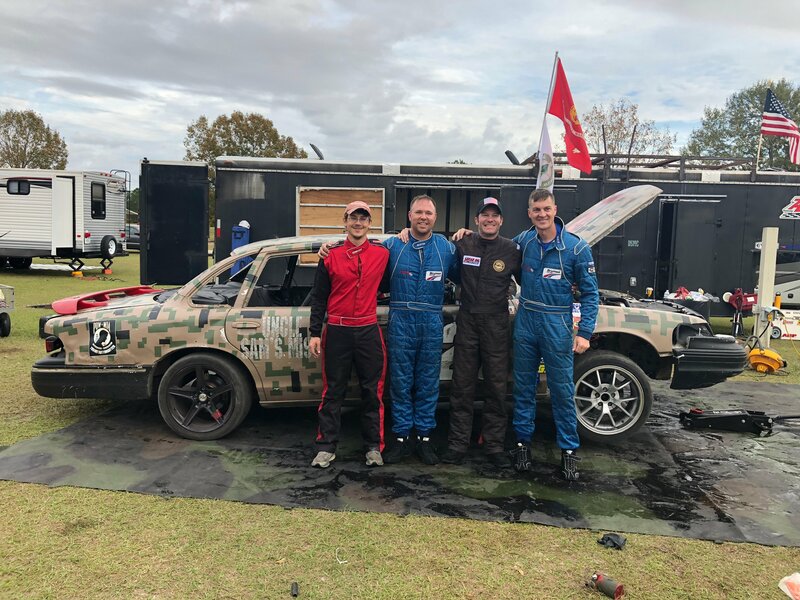 A favorite among those who drive their car on the street during the week and compete in an autocross on the weekend, the HP+ pads provided the performance these drivers seek with one caveat: feedback had been the pads were a little loud for street use. Hawk engineers listened and reformulated the ferro-carbon friction material to maintain the initial bite and fade resistance of the original pad, but at considerably lower sound levels in most applications. The new HP+ also displays lower pad wear and noticeably improved rotor wear. The HP + pads are popular fitments on Chevrolet Corvettes and Camaros, Dodge Chargers and Ford Mustangs. Ms. Nikolai also shared with us that Hawk will be releasing its first brake fluid within the next month or so, a DOT 4 street fluid that will be included in kits as well as available separately. The company is working on a racing-specific fluid to be launched in 2019, as well as additional rotor applications.